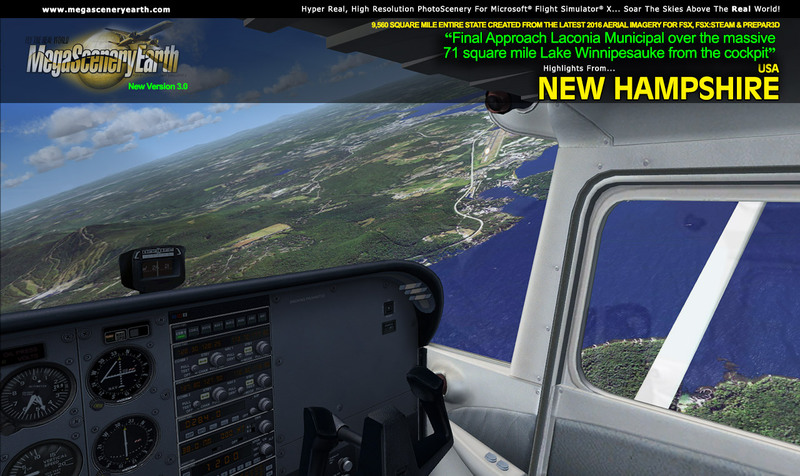 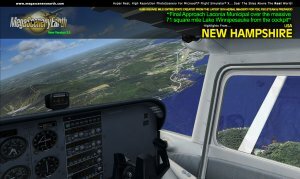 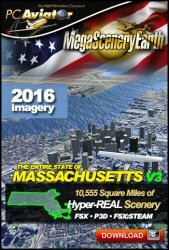 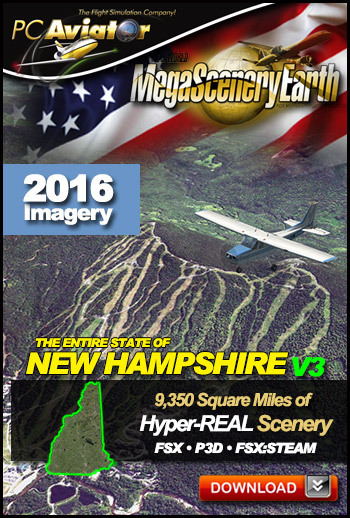 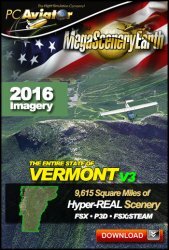 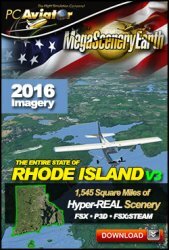 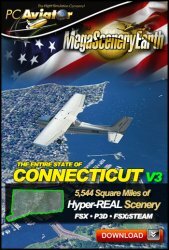 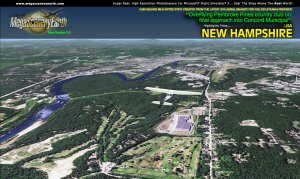 The New MegaSceneryEarth New Hampshire V3 featuring unsurpassed image sharpness, scenery color and clarity, improved scenery features with accurate additional water bodies and topographical data and the latest aerial imagery available taken in 2016. 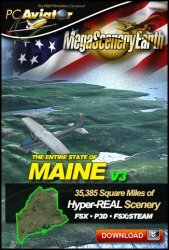 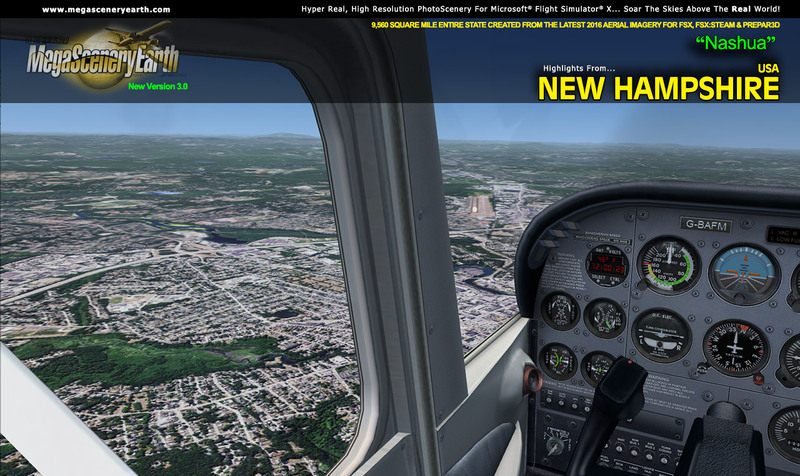 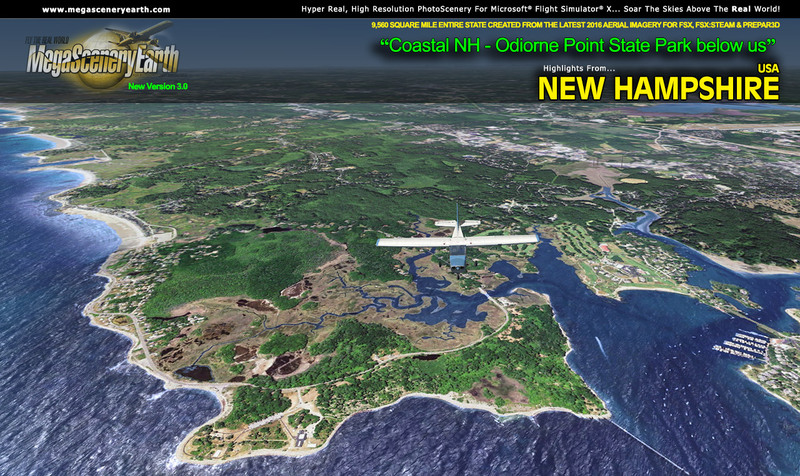 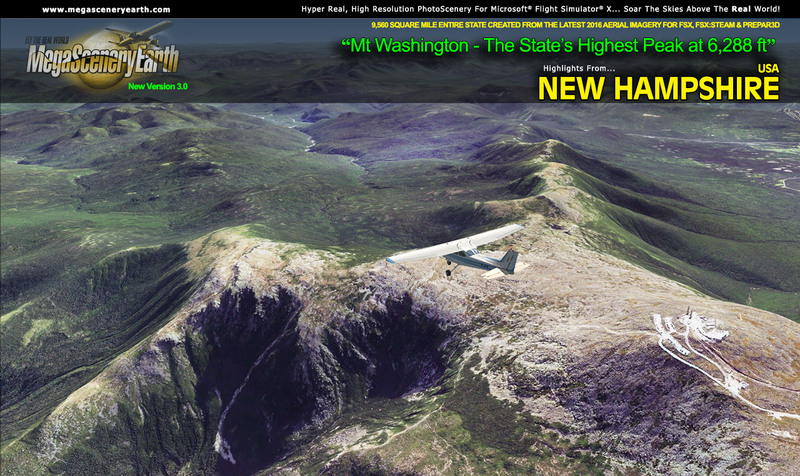 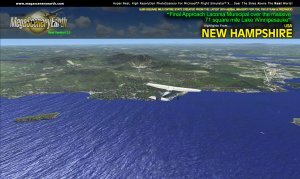 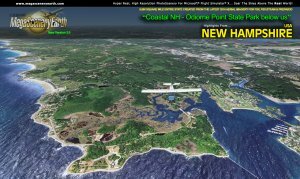 Fly the entire state - BORDER to BORDER - of New Hampshire in photoreal detail. 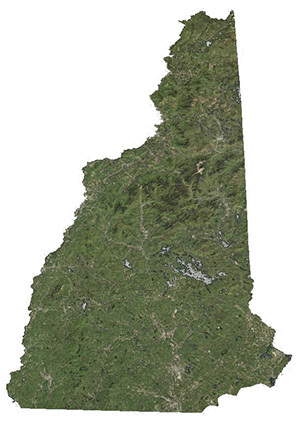 New Hampshire is 9,350 square miles in size and has 64 airports. You'll see everything that you see in New Hampshire in real life in the scenery. 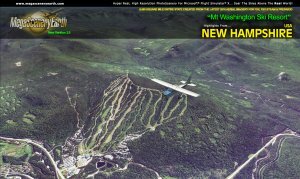 Mountains: Mt Washington (6,283 ft), White Mountains, Mount Adams, Mount Jefferson, Nelson Crag, Ball Crag and 50 other peaks above 4,000 ft. 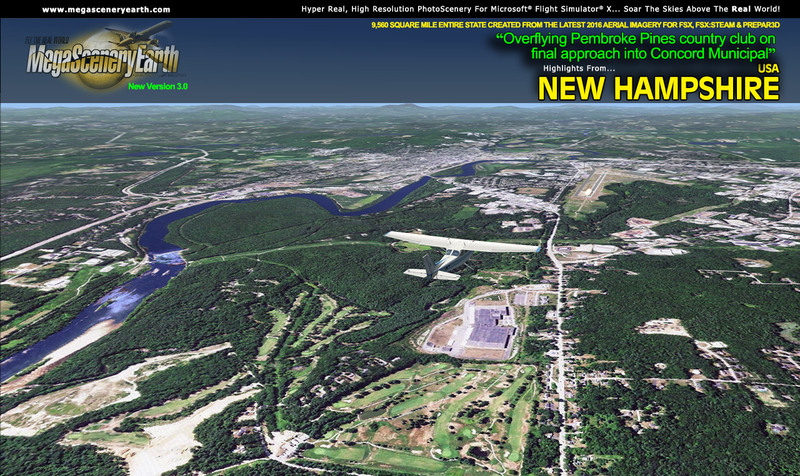 THIS TITLE COMES WITH A FULL SET OF FAA AERONAUTICAL CHARTS FOR NEW HAMPSHIRE IN PDF FORMAT.